A few days ago, I started asking around to my friends what makeup means to them. I got very different responses… from a very long and passionate answer from a friend who recently became a makeup artist…to a short “I only wear it to weddings and stuff like that” from that friend I was always jealous of because of her perfect skin. 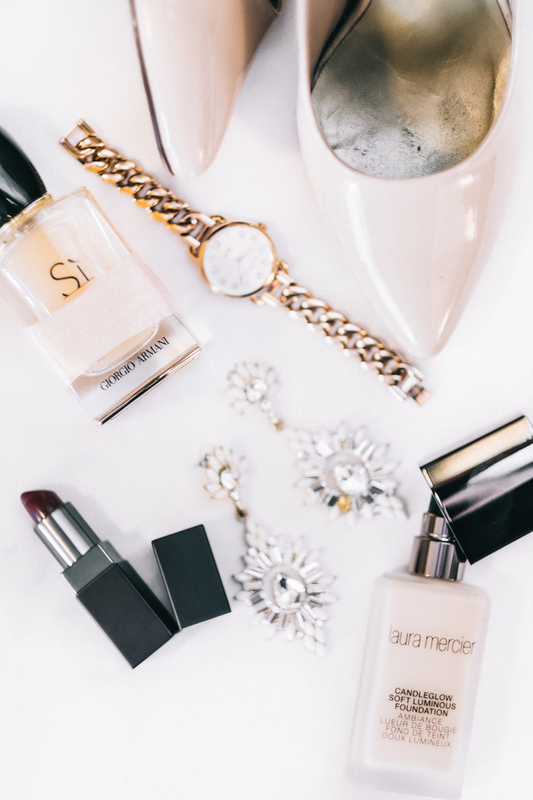 However, listening to their answers…we all had something in common: we use makeup to feel more confident and to transform ourselves into gorgeous vixens for special occasions. None of my girl friends want to change their features, they just want to enhance their favorite ones. Hace un par de días, empecé a preguntarle a mis amigas sobre que significa maquillarse para ellas. Y fue increíble la variedad de respuestas...desde una muy larga y apasionada de una amiga que recientemente hizo varios cursos de maquillaje...a una respuesta corta y seca "Solo lo uso para bodas y coas así" de aquella amiga que ha tenido una piel envidiable de toda la vida. Pero escuchando todas sus respuestas...todas tenemos algo en común...todas lo usamos para sentirnos más seguras de nosotras mismas y transformarnos en ocasiones especiales. Ninguna de mis amigas quería cambiar como se ven... si no resaltar sus mejores atributos. We all want to have that perfect luminous glow-y skin…I have some acne scars from my teenage years that I still feel self-conscious about (and well, the occasional hormonal pimple never fails to be there when I least expect it). I’ve tried several brands and it bothered me how dry my skin felt when wearing them….and I know I’m not the only one going through this. One of my closest friends was telling me how important it is not only to hydrate before applying foundation but also to make sure you use a foundation that doesn’t dry you out throughout the day. Todas queremos una piel perfecta y luminosa. Yo personalmente tengo un par de cicatrices culpa de un acné fuerte que siempre intento tapar (y bueno siempre aparece un granito fastidioso cuando uno menos lo espera). He probado muchas marcas y las que tienen buena cobertura me secan mucho la piel...y esto no debe suceder. Una de mis mejores amigas mencionó la importancia de hidratar tu piel antes de aplicar una base...pero también hay que asegurar que estamos una base que no nos va a secar la piel durante el día. 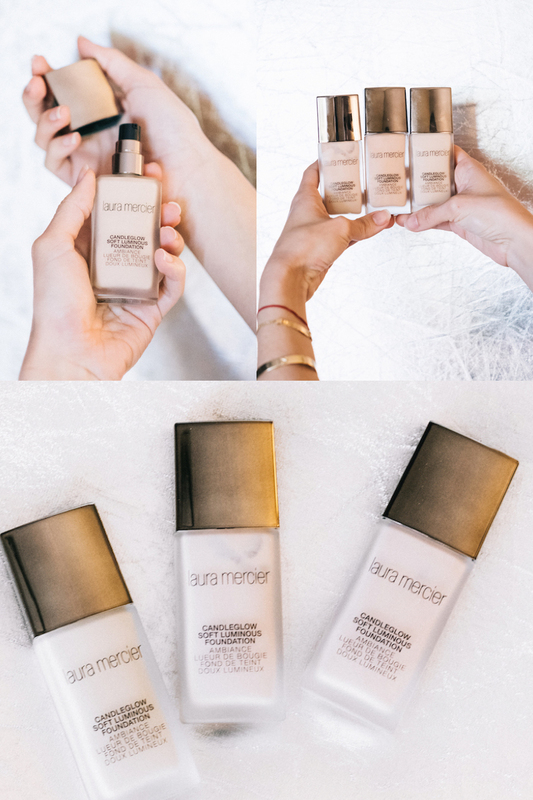 For that reason, I'm so excited to share my new favorite…Laura Mercier Candleglow Soft Luminous Foundation!! No, honestly, I’m loving it! 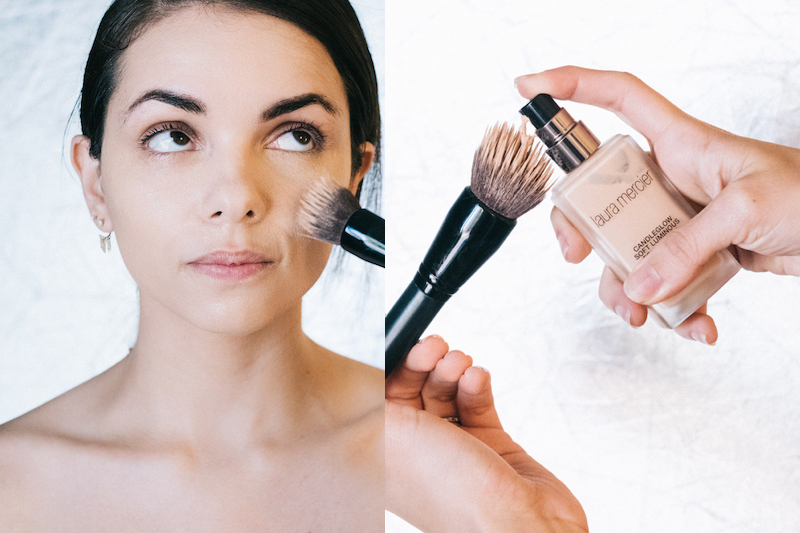 The coverage is sheer to medium, and it delivers double boost of hydration. I also really like that it enhances my natural complexion without masking it…meaning that my imperfections visibly diminish when I wear it without feeling heavy or cakey. Les cuento de mi nueva base favorita para días especiales (en días normales soy más de bb cream): Laura Mercier Candleglow Soft Luminous Foundation!! No, es en serio. Estoy encantada. El nivel de cobertura es entre bajo y medio...hidrata el doble que cualquier base. Me gusta que resalta mi piel en vez de taparla como si fuese una mascara...no se me notan esas cicatrices fastidiosas que les estaba contando. 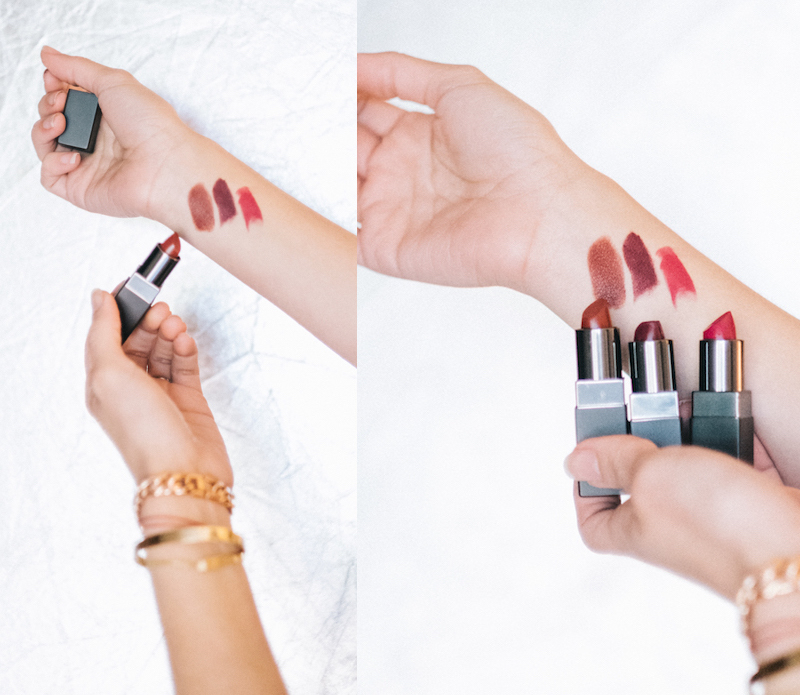 It comes in 24 shades…which leads to the question of the hour. How do I find my exact shade? Here are some of my tips. If you look better in gold jewelry, you are warm. If you look better in silver jewelry, you are cool. If you feel you skin looks good in either, you are probably neutral. Another trick is to look at the veins in your wrist. If they look greenish, you are warm…if they look blueish, you are cool tone. I recommend having three shades of your favorite foundation. Why? Because we are not the exact same color throughout the year. Please do not wear your winter foundation after a weekend in Cancun (or the other way around!!). Don’t be afraid to ask in the beauty counter for small samples or a beauty consultation. I’ve seen some people swatch foundations on their forearms, but our faces are always a little bit lighter than our body. I like trying them out on my jawline because I can see if the color is not only right for my face but also for my neck. Never forget to blend the foundation onto the neck and ears. Girls, if you have to put makeup on your face, neck, decollate, bust, shoulder (ohhh I’ve seen some girls do it)…you should either 1. buy the right color foundation or 2) stop applying SPF only to your face. I truly believe in protecting your skin from the sun, and you should not apply sunscreen not only to your face because of wrinkles, but also to your body to decrease the risks of skin cancer. - Primero debes entender si tu tono de piel es cálido, neutral, o frío. Puede que tu base no te queda perfecta no por que no tengas el color que es...si no por tu tono de piel. ¿Qué significa esto? Que tienes la piel cálida si sientes que los accesorios dorados te quedan mejor que los plateados, y si las venas en tus muñecas son más verdes que azules. Y lo contario para los tonos fríos: te ves mejor en accesorios plateados y las venitas son más azuladas. - Yo te recomiendo siempre tener tres tonos de tu base favorita. ¿por qué? Porque tu tono de piel varía durante el año...especialmente si vives en una ciudad con estaciones. También puedes mezclar estos tonos para llegar a tu tono exacto. No te de pena pedir ayuda al comprar maquillaje, pide una consulta de belleza y que los expertos te ayuden si lo necesitas. - Cuando estes probándote los tonos, no lo hagas en tu brazo o muñecas ya que este no es el tono de tu rostro (solemos ser un poco más claras en la cara....por que nos cuidamos más, así sea dándole la espalda al sol o usando sombrero y protector solar). A mi me gusta probarlo en la barbilla, de manera que puedas ver que el color es parejo con el cuello también. 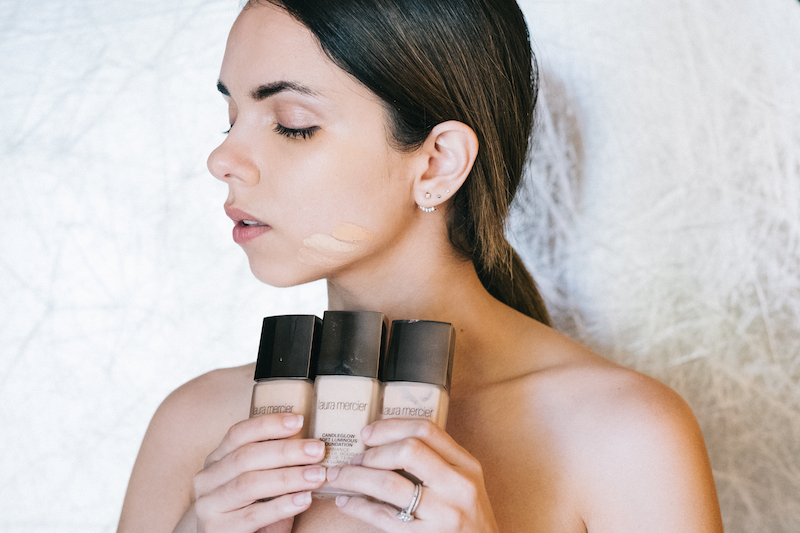 “Makeup can make a great first impression; a good makeup application and setting powder assures me that I will be flawless throughout the day.” Maria Alejandra, 27. My friend Maria Alejandra brings out a great point, without a good setting powder, even the best foundation won’t last as long. I’ve been using Laura Mercier Translucent Loose Setting Powder for almost two years. It is extremely lightweight, and sheer…perfect for any skin tone and range. Although, it is very popular due to the baking trend, I like to use it simply to set makeup and prolong the life of my makeup without looking powdery. "Tu maquillaje puede causar una gran primera impresión...por lo que me parece importante una buena aplicación. Un buen polvo suelto me asegura que mi maquillaje permanecerá intacto todo el día. María, 27. Mi amiga María Alejandra mencionó un tema super importante que no se nos puede olvidar...¡¡el polvo!! Hasta la mejor base del mundo no durará si no usas un buen polvo. 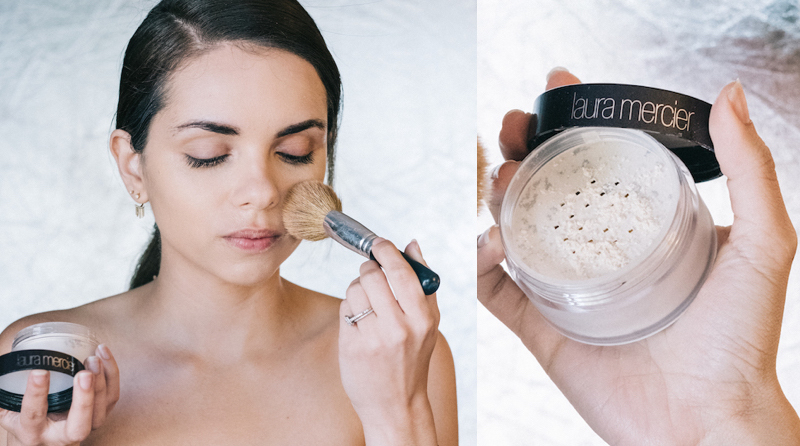 Yo llevo casi dos años usando Laura Mercier Translucent Loose Setting Powder. Es muy ligero, no se siente pesado en la piel... y es perfecto para cualquier tono. Yo lo aplico con una brocha y el maquillaje me dura todo pero todo el día. “Makeup should be fun…just like fashion, it is a way to express who you are I love being able to change my beauty look depending on how I feel.” Alejandra, 18. Even if you can’t live without your mascara, or step out the door without your eyebrows looking “on fleek”…I think we can all agree that the easiest (and I dare to say, BEST) way to transform your look from day to night…or from every day makeup to a special occasion one is with LIPSTICK! "Para mi el maquillaje es divertido....es una manera de expresarte. Me encanta poder cambiar mi maquillaje dependiendo de como me sienta" Alejandra, 18. Así digas que no puedes vivir sin tu mascara, o salir de tu casa sin maquillar tus cejas....creo que todas podemos estar de acuerdo con que la mejor manera de transformar tu look del día a la noche...o de un maquillaje del día a día a una ocasión especial..y es con LABIAL. Matte lips are at rage, but OMG they tend to be so dry…and if you are a busy bee like me, there isn’t time to apply lip balm, wait for it to absorb, and then apply lipstick. But matte just met its mate…Velour Lovers Lipsticks, my new lip affair <3 . It is matte lipstick without the drying because it has moisturizing mango butters. I chose three colors 1) An Affair, the perfect plum 2) Cocoa Pout, a brownish red and 3) Boudoir, a pretty magenta. Los labiales matte están muy de moda...pero generalmente resecan mucho los labios. Y si eres como yo, no tenemos tiempo de aplicar un hidratante de labios, esperar que se absorba y luego aplicar el labial. Les recomiendo los labiales Velour Lovers, son mega hidratantes y extra pigmentados (in love!!!). 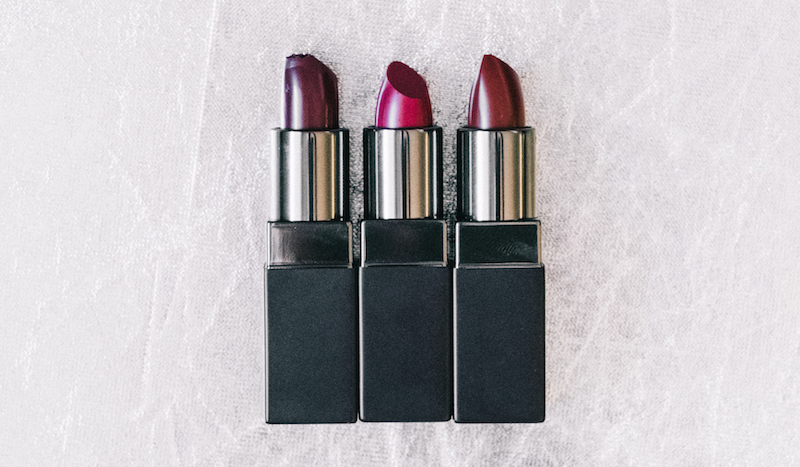 Los 3 colores que escogí fueron 1) An Affair, un borgoña con tonos azules 2) Cocoa Pout, un rojo con tonos marrones y 3) Boudoir, un magenta. “Over the years, I’ve learned that less is more. For the day to day, you only need a good foundation, mascara to highlight your eyes, and a high quality lipstick to bring out your personality.” Milagros, mom, 59. Now it’s your turn to tell me…what is makeup to you?! Do you wear makeup to hide imperfections and enhance your features? or do you just simply love to transform yourself? I’m definitely ALL THE ABOVE! I love the power of a dark lip…and I love how foundation can help me hide my little imperfections. "Con el pasar de los años he aprendido que menos en más. Para el día a día solo necesitas una buena base, mascara para resaltar tus ojos, y un buen labial que muestre tu personalidad." Milagros, mamá, 59. Disclosure: This post was sponsored by Laura Mercier. All opinions are my own. I only partner with brands I use and love.